Butch travels to Smiles For Life from Singers Glen. 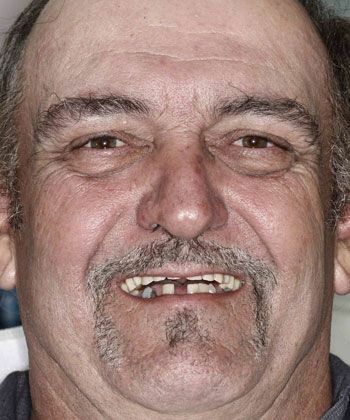 His treatment included a beautiful upper "Fountain of Youth" denture and four implants to support the lower denture and connect it back to bone. This results in a very secure, no wibble or wobble denture. We are thrilled that Butch's new smile gave him the confidence to stand in front of crowds doing karaoke. 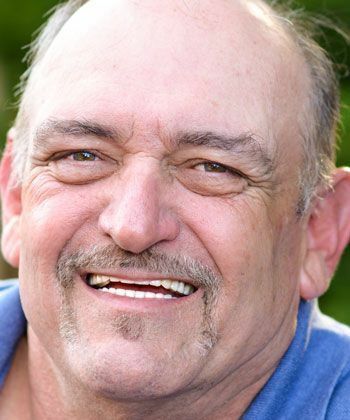 We love seeing Butch laugh and enjoy life! "My experience here at Smiles for Life has been great. I've got no complaints whatsoever. I've had my dentures for about two years and I can eat anything I want. I even got courage enough to start a karaoke show with my friend. So I'm in front of people almost every weekend and again, it's been a great experience to actually have teeth for a change. They're good people here. I'd recommend them any time. I've recommended them to friends and family. I've got nothing bad to say about them at all."